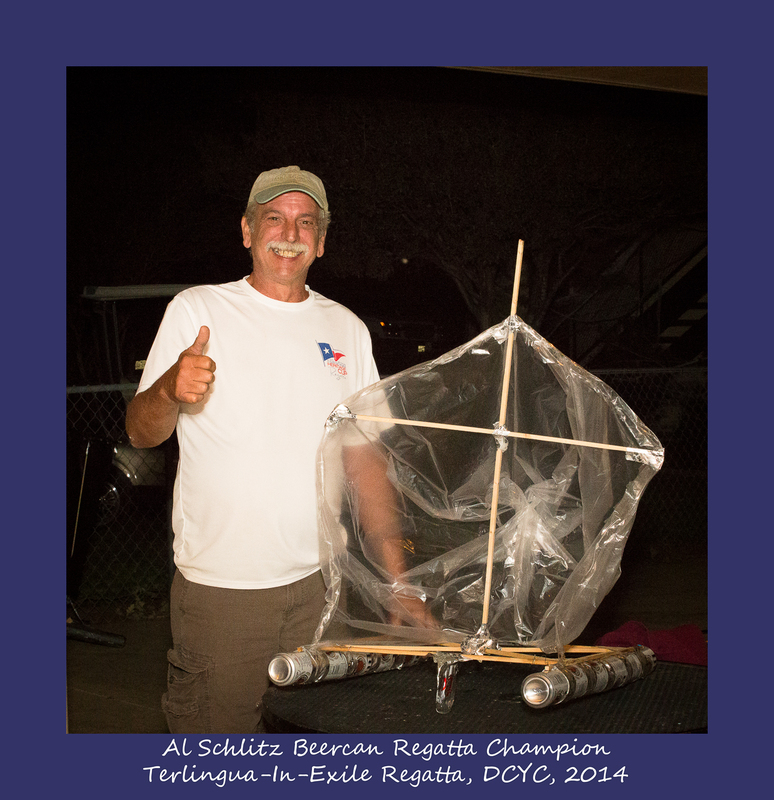 Have your kids or your team started building your beercan sailboats yet? You have less than a week remaining before the competition. Build those boats and meet us at the pool after the Chili Dinner. 1. Hulls must be constructed of beer or soda cans only. 2. You may use up to twelve (12) twelve oz. cans for the hull. 3. Outriggers are considered part of the hull. 4. There are no restrictions to the hull size or configuration; see #2. 5. There are no restrictions on the size or shape of the sail plan. 6. There are no restrictions on the size, shape, or materials for the keels and rudders. 7. Boats must be powered only by sails affixed to the mast mounted on the hull. 8. No helium or other lighter than air gases can be used in construction. 9. Determination of compliance with these rules is subject to the sole discretion of the regatta organizers. Check out last year's photos here. Check out this year's photos here. Huge, huge thanks go out to Randall Massey and Steve Utz for once again organizing and running this great event. 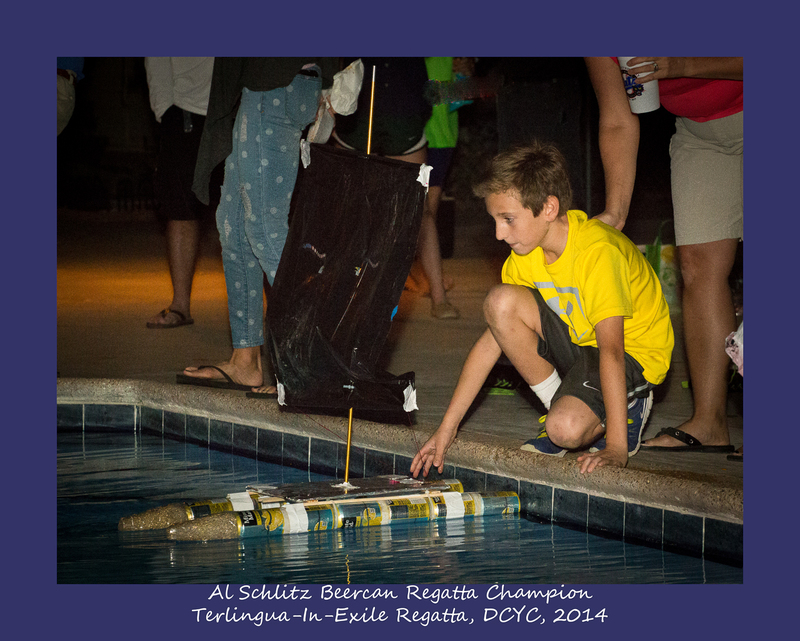 We are so thankful for their leadership in the legendary Al Schlitz Regatta! Thanks to all the contestants and congratulations to our winners!